The 2015 season began for 4-year-old cutting horses on January 3, in Abilene, Tex., with the Abilene Spectacular. The event offers, as do all NCHA-sanctioned limited age events, purses for a gamut of official classes, but it is 4-year-old open competition that offers the biggest payoffs in prize money, as well as equally significant returns in breeding barns and training arenas. The Abilene Spectacular is the first of a series of limited age cutting events, leading up to the NCHA Super Stakes, which will have a significant impact on the 2015 breeding season, initially predicated by the results of the 2014 NCHA Futurity. In that light, the 4-year-old open results of the Abilene Spectacular, the Augusta Futurity, and the Ike Hamilton Derby are worth a look. 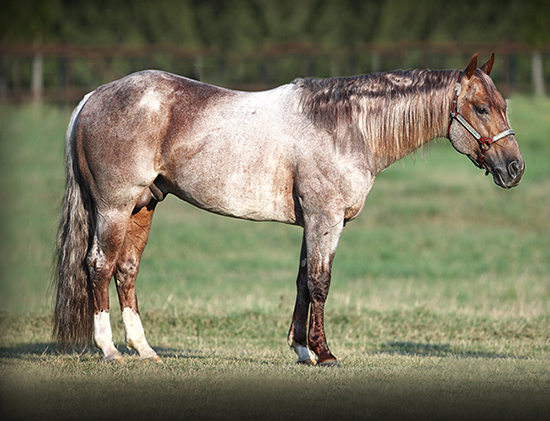 High Brow Cat was the leading sire of the 2014 NCHA Futurity finalists with seven, including the champion and winner of $200,000, Classy CD Cat, shown by Phil Hanson for Dottie Hill. Metallic Cat tied Dual Rey with the second-highest number of NCHA Futurity finalists (3 each), but as of Feb 7, 2015, ranks first among sires of 2015 open 4-year-old major event contenders (NCHA Futurity, Abilene Spectacular, Augusta Futurity and Ike Hamilton Derby) with 18 finalists. High Brow Cat is next on the list of top sires with 15, followed by Dual Rey and One Time Pepto with 10 each, then Smooth As A Cat with eight, and High Brow CD with seven. Among trainers, Lloyd Cox, reserve champion of the 2014 NCHA Futurity on Smooth Talkin Style, by Smooth As A Cat and owned by Holmes and Hill, leads the pack with nine finalists in the four events, followed by Austin Shepard with seven, and Michael Cooper and Grant Setnicka with four each. Center Ranch takes center stage among owners of 4-year-old open competitors with six finalists from the four shows, including a record four finalists in the NCHA Open Futurity. The Bonanza Cutting begins its 10-day run in Glen Rose, Tex. on Wednesday, February 11, followed by the Arbuckle Mountain Futurity in Ardmore, Okla., beginning on February 22; the Cattlemen’s Derby, Graham, Tex. from March 2 through 8; the PCCHA Winter Round Up in Paso Robles, Calif., March 12 through 15; and the NCHA Super Stakes, which begins a 24-day run on March 26 in Fort Worth, Tex.